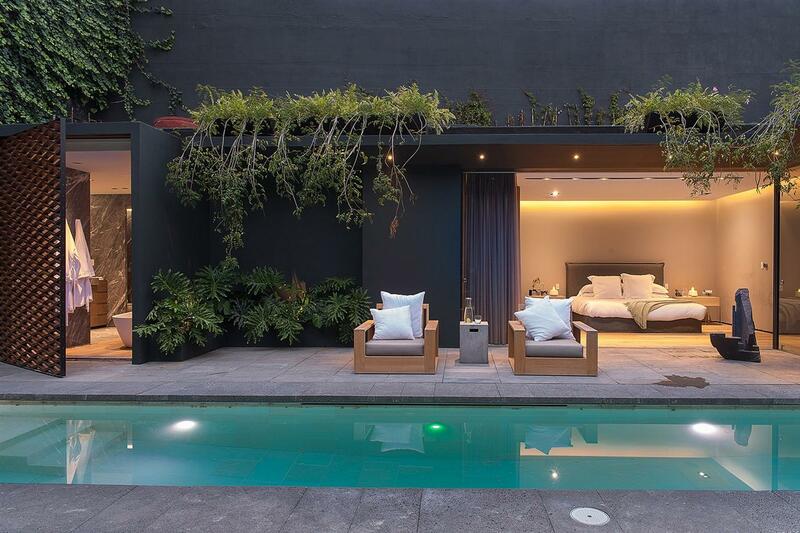 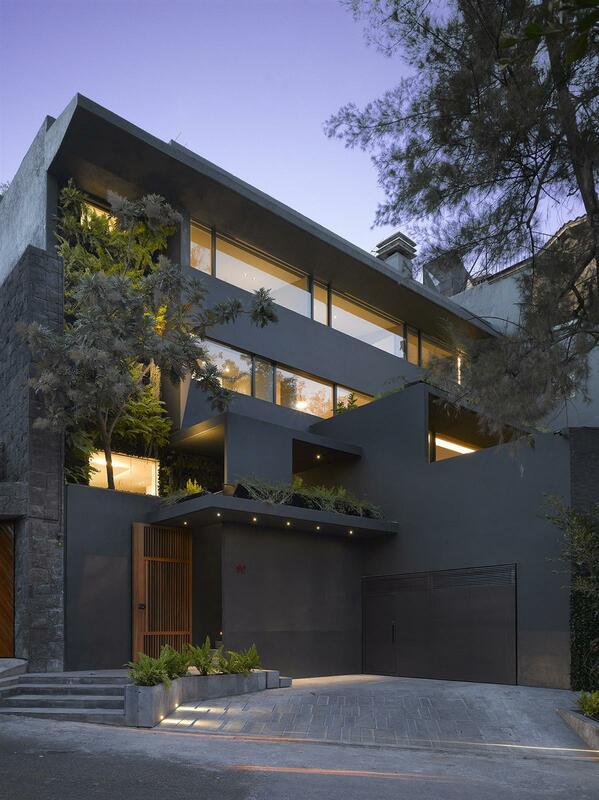 The Barranca House in Mexico City has recently been restored and expanded by architect Ezequiel Farca and received some serious upgrades. 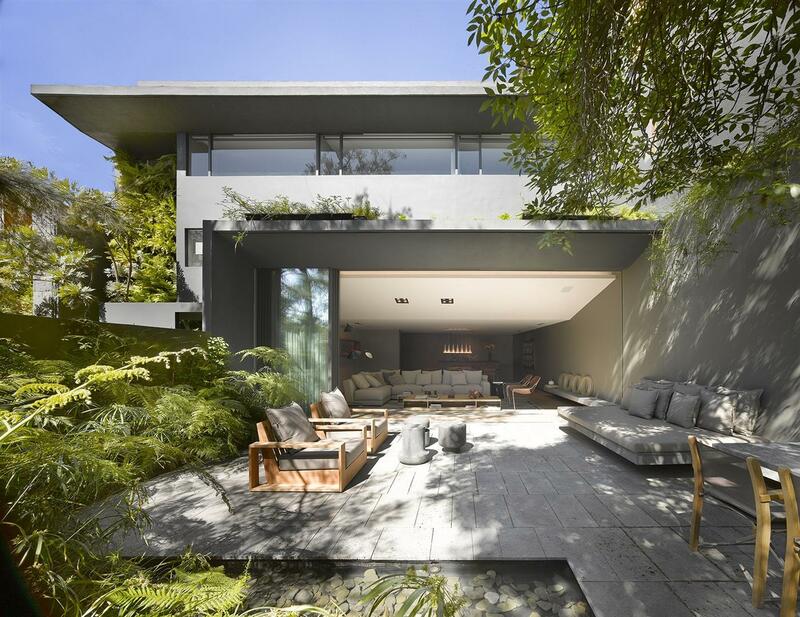 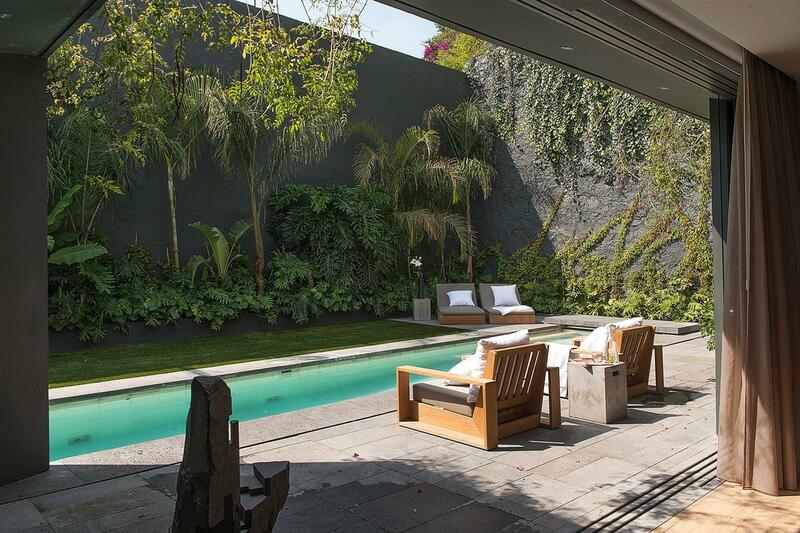 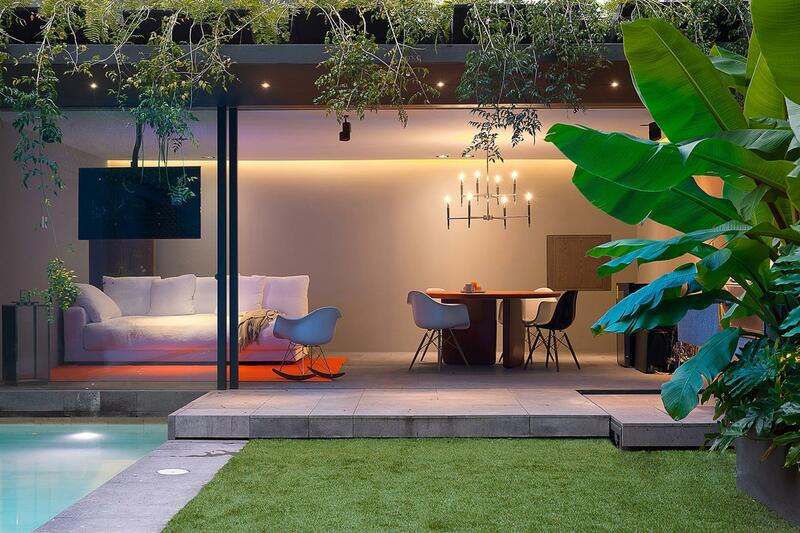 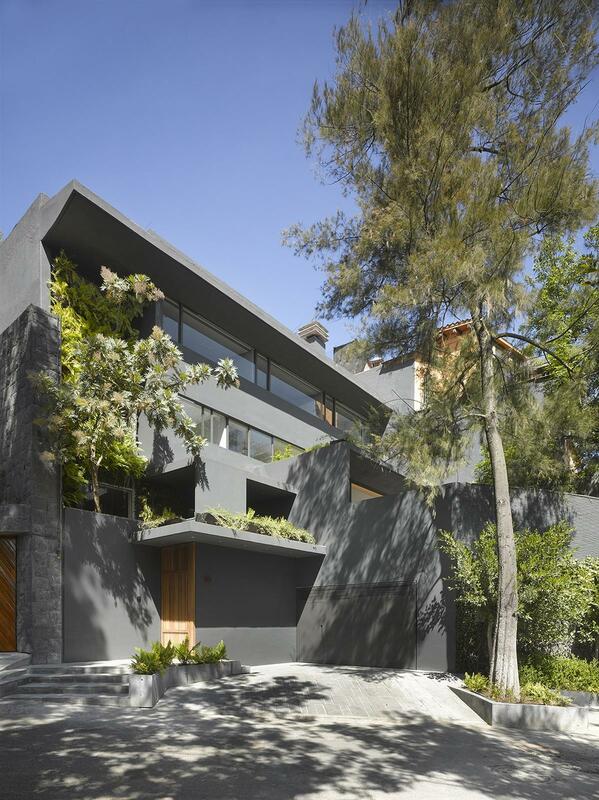 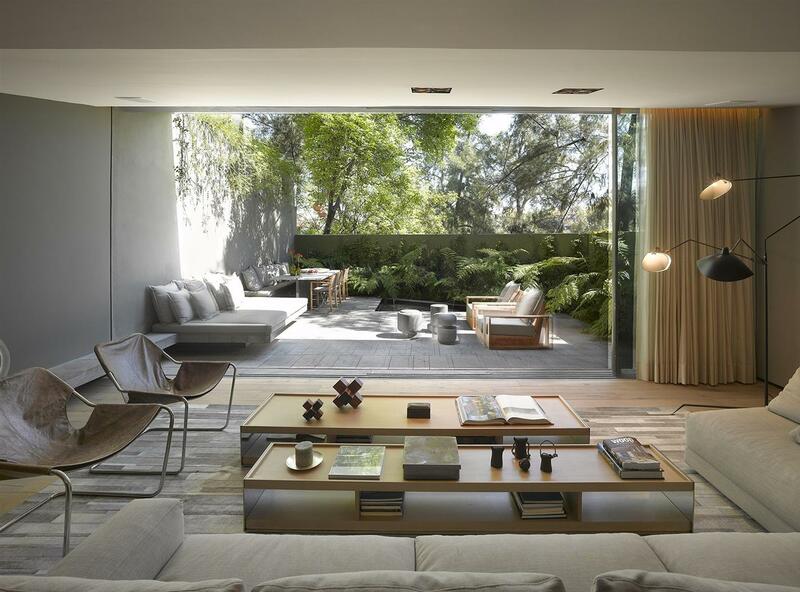 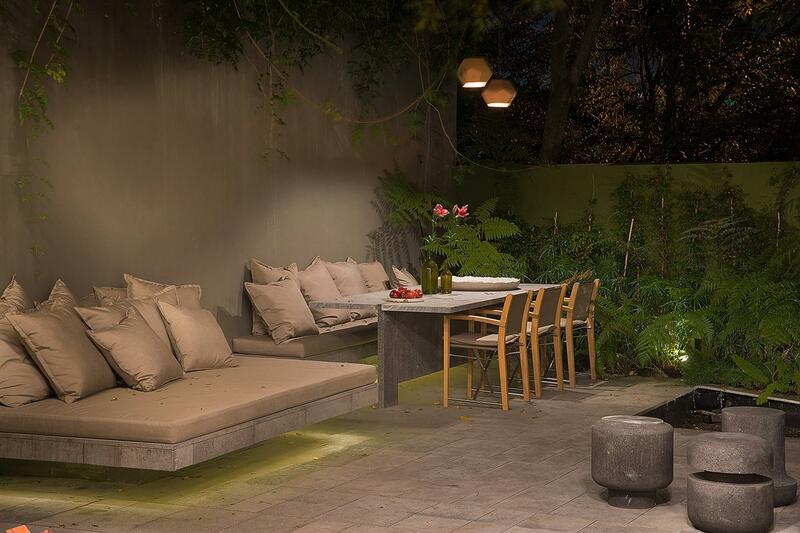 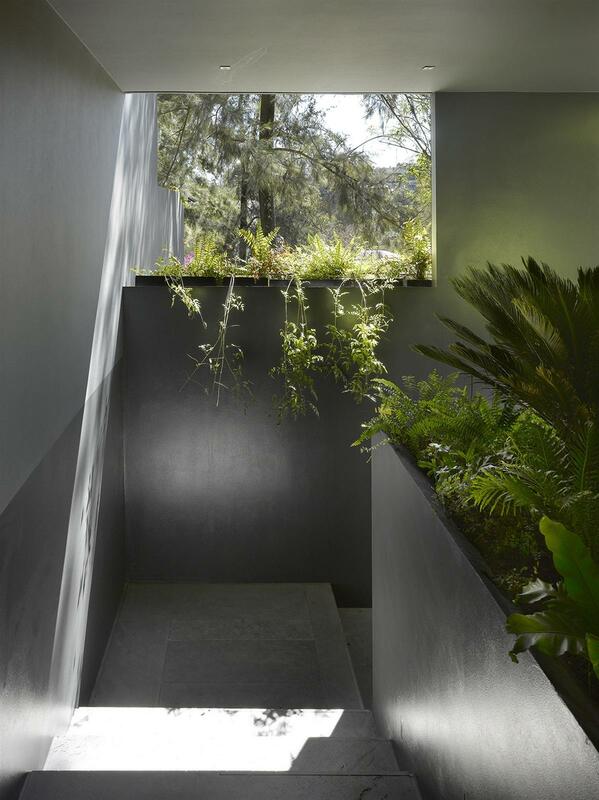 Perched upon a slope in the Mexican neighborhood Lomas de Chapultepec and completely surrounded by nature, the house offers beautiful views towards the woods. 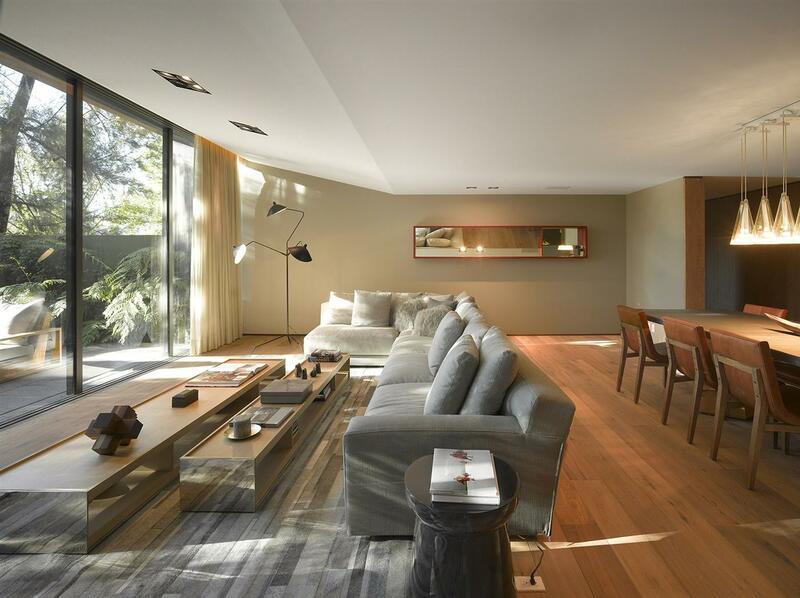 There are a living and a dining room on the first floor, that open onto the terrace. 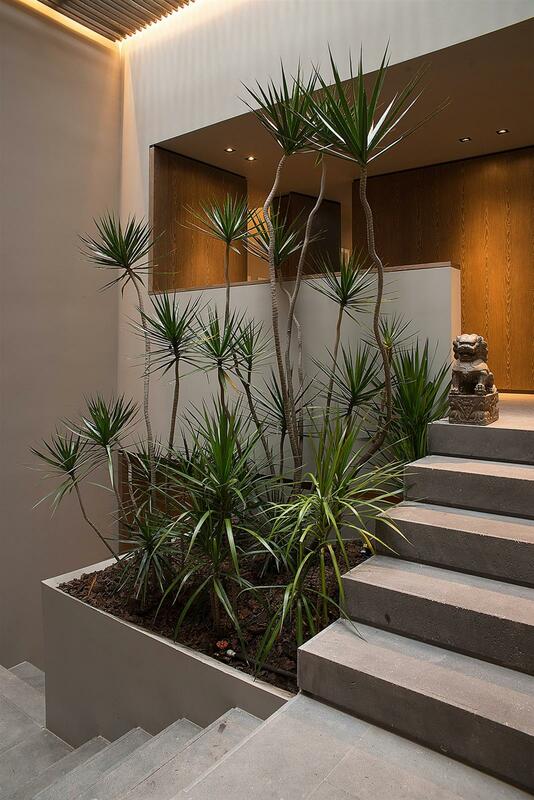 The second floor functions as multipurpose space. 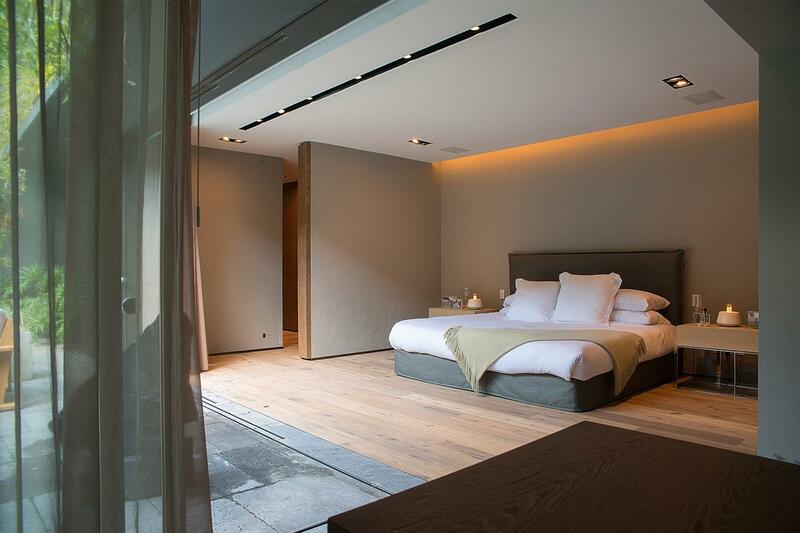 On the third floor, there is a master bedroom, a master bathroom, a breakfast area and a swimmingpool. 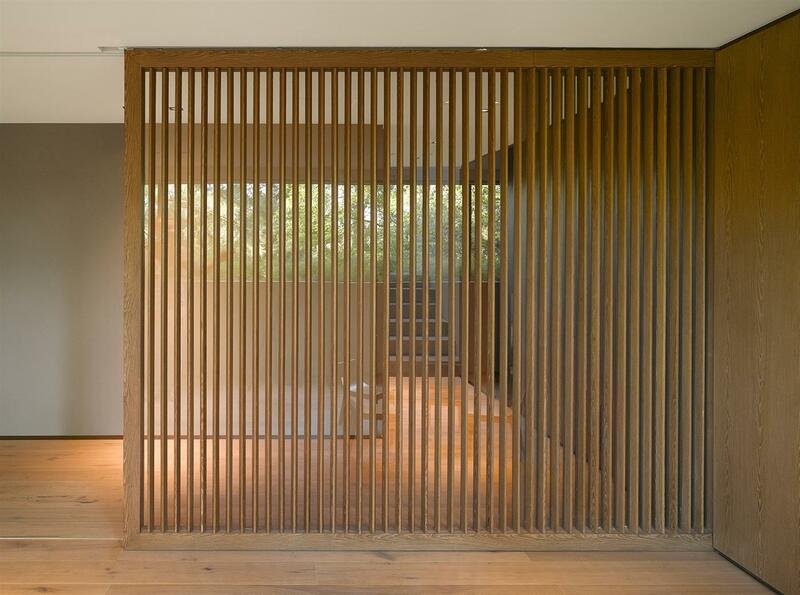 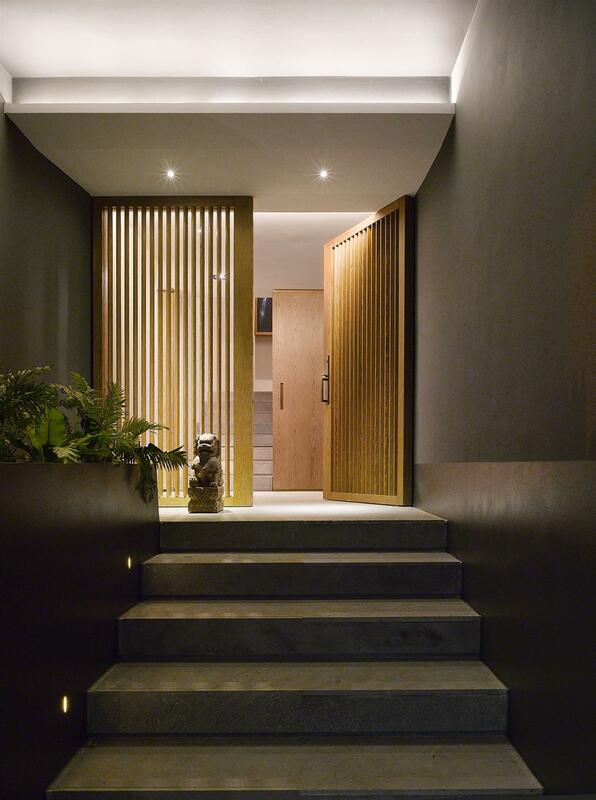 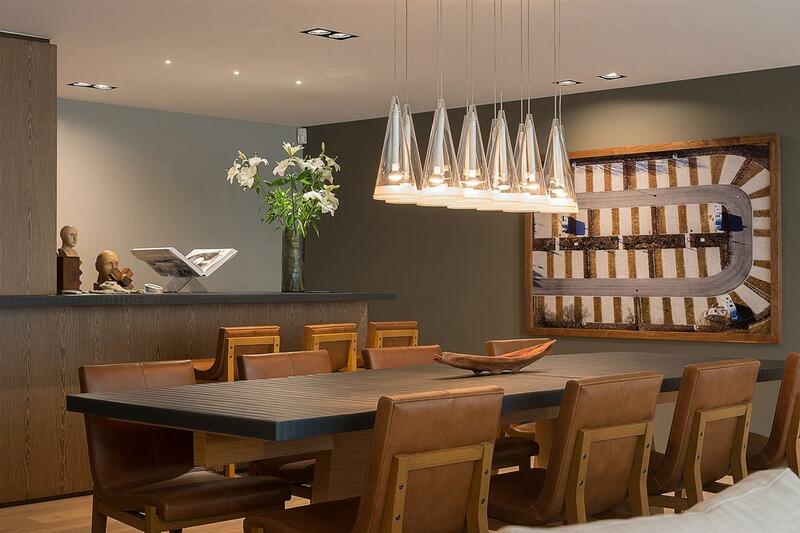 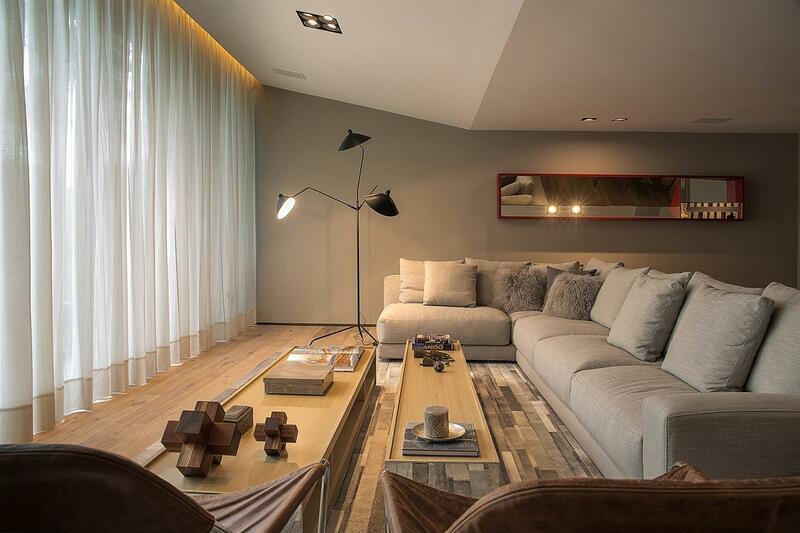 A variety of materials have been used to create this stunning single family house, e.g. 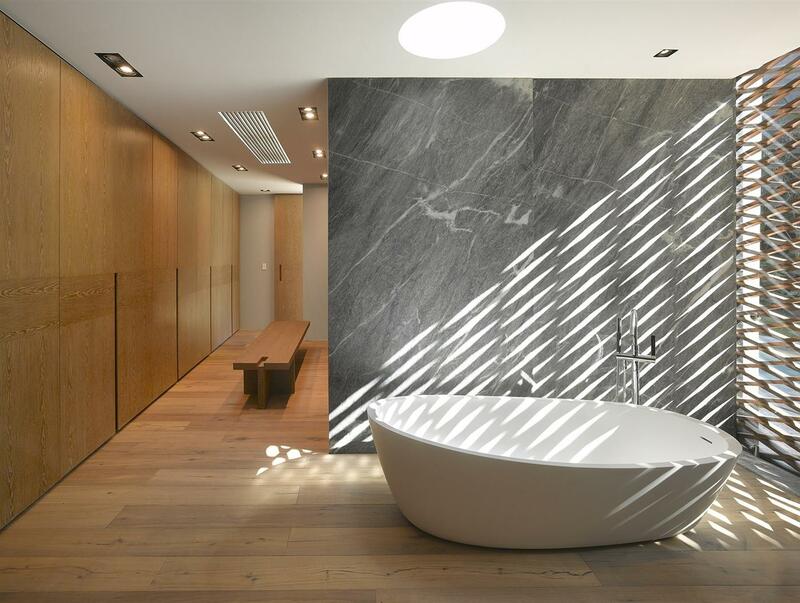 marble, stone, wood, together with neutral tones to create a fluent transition between interior and exterior. 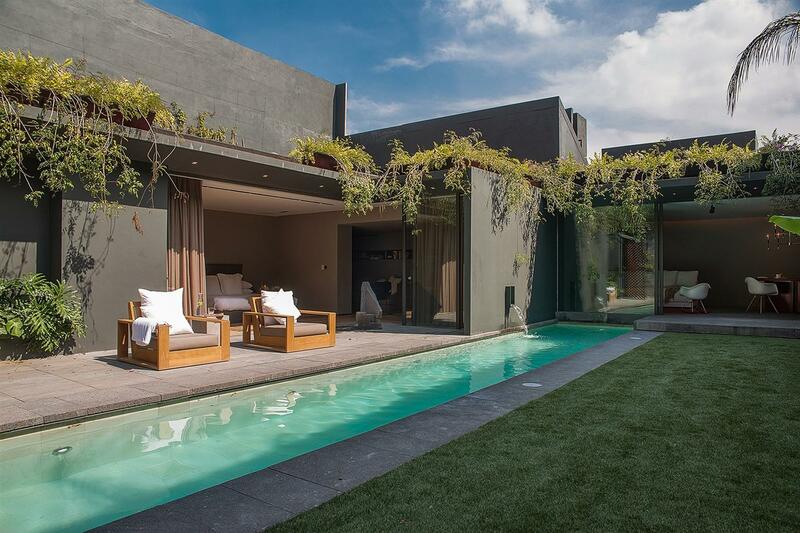 The amenities include a home theater, a wine cellar, a gym, 2 terraces, a pool, garden and green areas, a solar energy system and a automatized water saving system. 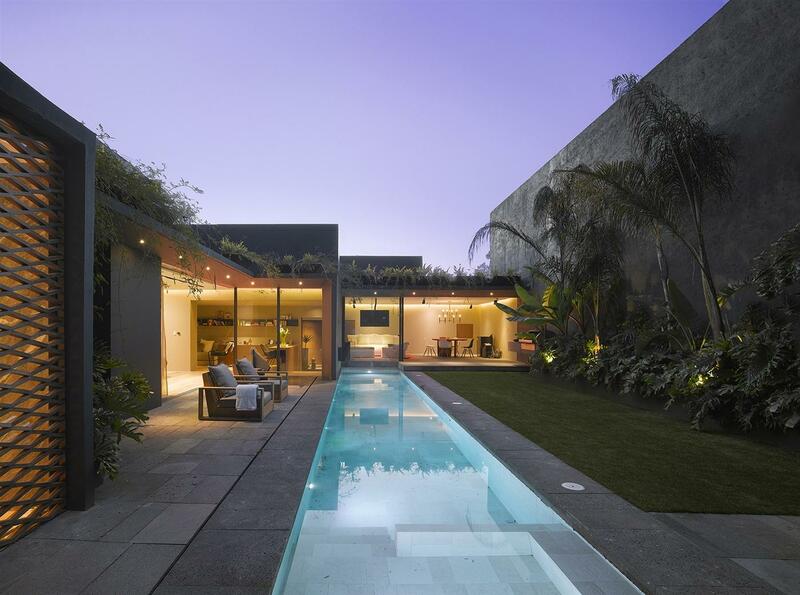 Design Team: Ezequiel Farca, Cristina Grappin, Fernanda de la Mora.